to the complex vector data over the frequency values in the positive vector freq. The function returns a handle to the rational function object, h, with properties A, C, D, and Delay. fit = rationalfit(freq,data,tol) fits a rational function object to complex data and constrains the error of the fit according to the optional input argument tol. with additional options specified by one or more Name,Value pair arguments. These arguments offer finer control over the performance and accuracy of the fitting algorithm. [fit,errdb] = rationalfit(...) fits a rational function object to complex data and also returns ERRDB, which is the achieved error. fit = rationalfit(s_obj,i,j...) fits Sij using FREQ = s_obj.Frequencies and DATA = rfparam(s_obj,i,j) for s-parameter object, s_obj. Fit a rational function object to S-parameter data, and compare the results by plotting the object against the data. Read the S-parameter data into an RF data object. Fit a rational function to the data using rationalfit. 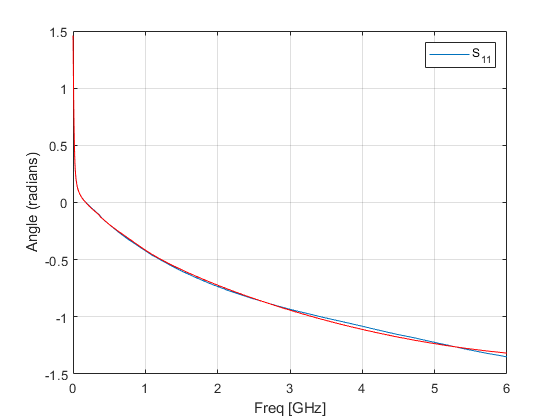 Compute the frequency response of the rational function using freqresp. Plot the magnitude of the original data against the rational function approximation. S11 data appears in blue, and the rational function appears in red. 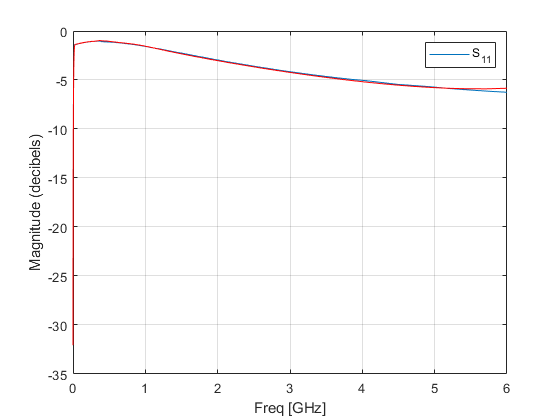 Scaling the frequency values by 1e9 converts them to units of GHz. Plot the angle of the original data against the rational function approximation. rationalfit(freq,data) also handles input 3D array of data (n x n x p), an input frequency array (p x 1), and returns a matrix (n x n) of rationalfit objects. Index into the matrix of rationalfit objects to access corresponding rationalfit information. 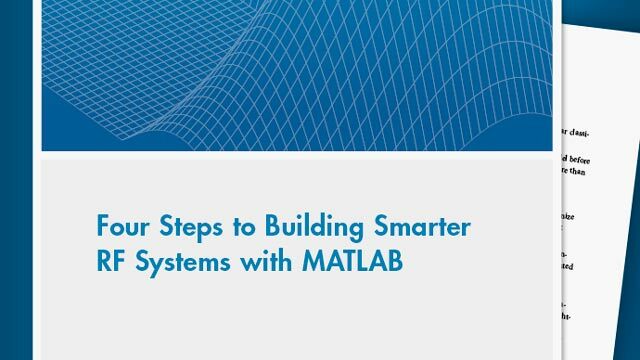 Use rationalfit on multiple datasets defined in a matrix. Use rational fit to fit an S-parameter object from the file 'passive.s2p'. Frequencies over which the function fits a rational object, specified as a vector of length M.
Data to fit, specified as an N-by-N-by-M array of complex numbers. The function fits N2 rational functions to the data along the M (frequency) dimension. ε is the specified value of tol. F0 is the value of the original data (data) at the specified frequency fk (freq). F is the value of the rational function at s = j2πf. W is the weighting of the data. rationalfit computes the relative error as a vector containing the dependent values of the fit data. If the object does not fit the original data within the specified tolerance, a warning message appears. S-parameters, specified as an RF Toolbox™ network parameter object. To create this type of object, use the sparameters function. Row index of data to plot, specified as a positive integer. Column index of data to plot, specified as a positive integer. Scaling factor that controls the amount of delay to fit to the data, specified as the comma-separated pair consisting of 'DelayFactor' and a scalar between 0 and 1 inclusive. The Delay parameter, τ, of the rational function object is equal to the specified value of 'DelayFactor' times an estimate of the group delay of the data. If the original data has delay, increasing this value might allow rationalfit to fit the data with a lower-order object. Maximum number of rationalfit iterations, specified as a vector of positive integers. Provide a two-element vector to specify minimum and maximum [M1 M2]. Increasing the limit extends the time that the algorithm takes to produce a fit, but it might produce more accurate results. Number of poles Ak of the rational function, specified as the comma-separated pair consisting of 'NPoles' and an integer n or range of possible values of n.
To help rationalfit produce an accurate fit, choose a maximum value of npoles greater than or equal to twice the number of peaks on a plot of the data in the frequency domain. After completing a rational fit, the function removes coefficient sets whose residues (Ck) are zero. Thus, when you specify a range for npoles, the number of poles of the fit may be less than npoles(1). Asymptotic behavior of the rational function as frequency approaches infinity, specified as the comma-separated pair consisting of 'TendsToZero' and a logical value. When this argument is true, the resulting rational function variable D is zero, and the function tends to zero. A value of false allows a nonzero value for D.
ε is the specified tolerance. If the object does not fit the original data within the specified tolerance, the function throws a warning. Logical value that toggles display of the graphical wait bar during fitting, specified as the comma-separated pair consisting of 'WaitBar' and either true or false. The true setting shows the graphical wait bar, and the false setting hides it. If you expect rationalfit to take a long time, and you want to monitor its progress, set 'WaitBar' to true. Weighting of the data at each frequency, specified as the comma-separated pair consisting of 'Weight' and a vector of positive numbers or an array same as that of the data. Each entry in weight corresponds to a frequency in freq, so the length of weight must be equal to the length of freq. Increasing the weight at a particular frequency improves the object fitting at that frequency. Specifying a weight of 0 at a particular frequency causes rationalfit to ignore the corresponding data point. One or more rational function objects, returned as an N-by-N rfmodel.rational object. The number of dimensions in data determines the dimensionality of h.
Relative error achieved, returned as a double, in dB. To see how well the object fits the original data, use the freqresp function to compute the frequency response of the object. Then, plot the original data and the frequency response of the rational function object. For more information, see the freqresp reference page or the examples in the next section. Gustavsen.B and A.Semlyen, “Rational approximation of frequency domain responses by vector fitting,” IEEE Trans. Power Delivery, Vol. 14, No. 3, pp. 1052–1061, July 1999. Zeng.R and J. Sinsky, “Modified Rational Function Modeling Technique for High Speed Circuits,” IEEE MTT-S Int. Microwave Symp. Dig., San Francisco, CA, June 11–16, 2006.